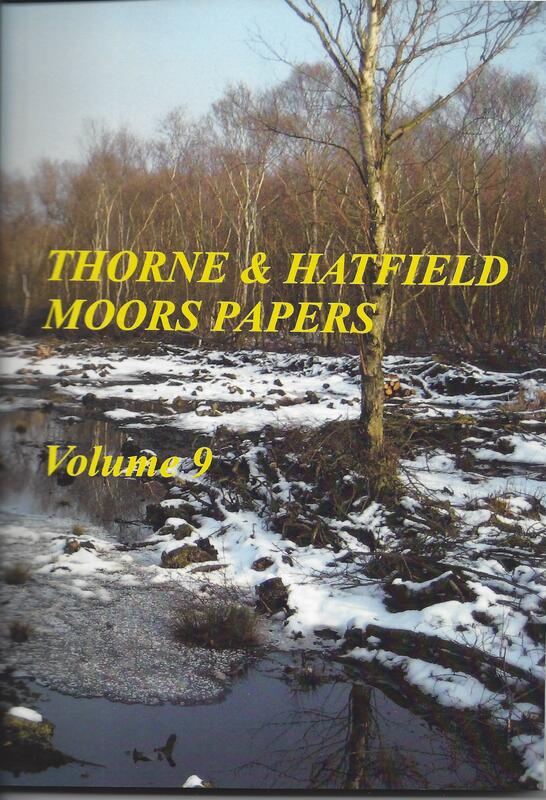 The Executive are pleased to announce the publication and availability of the latest edition of the Forum’s Journal Thorne & Hatfield Moors Papers Volume 9. Edited by Dr P C Buckland, it comprises 144 pages (including 25 colour), so is another bumper edition and offered at only £5. See details below for postage options. Volume 9 features seven substantive Research Papers and six shorter notes and two book reviews and an overview of an electronic download. A significant inclusion is that of “The ecology of the Hairy Canary: Phaonia jaroschweskii Schnabel & dziedzicki (Diptera: Muscidae) in England” by the late Peter Skidmore. Fig. 1 on page 77 features a superb entomological illustration detailing puparium and adults of P. jarowshewskii by Peter Skidmore. Ray Golder: Aquatic plants in the Selby Canal: a reflection of Humberhead Levels vegetation or a distinct canal flora? Phil Lee: Five go ‘moffin’ on Crowle Moors in search of a long lost minor. Mechanised Peat Winning and Transportation on Thorne Moors. By Martin Limbert and Peter C. Roworth. THMCF Technical Report No. 8. Second edition. Thorne & Hatfield Moors Conservation Forum. 2009. Pp.–90 + frontispiece + 38 plates. Available for sale from the Forum. An accompanying compact disk of images is now accessible via the Forum website. To obtain a copy, please send a cheque made payable to Thorne & Hatfield Moors Conservation Forum to T&HMC Forum (Publication Sales), P O Box 879, Thorne, Doncaster, DN8 5WU for either £6.68 (second class postage, incl. packaging) or £6.85 (first class postage, incl. packaging). This latest publication is hot on the heels of the Thorne Moors A Botanical Survey, copies of which are still available but selling well. If any reader is undertaking research or has observations of autoecological interest then please do consider offering them for consideration, see 2014 Notes for Contributors or contact the Editor, Dr Paul Buckland. Good quality images or illustrations are also most welcome for inclusion with any submission, alternatively images (appropriately credited) would be appreciated for inclusion on the blog and for the Forum’s website which is currently under review and revision.